What if I told you you can eat to lose weight!? 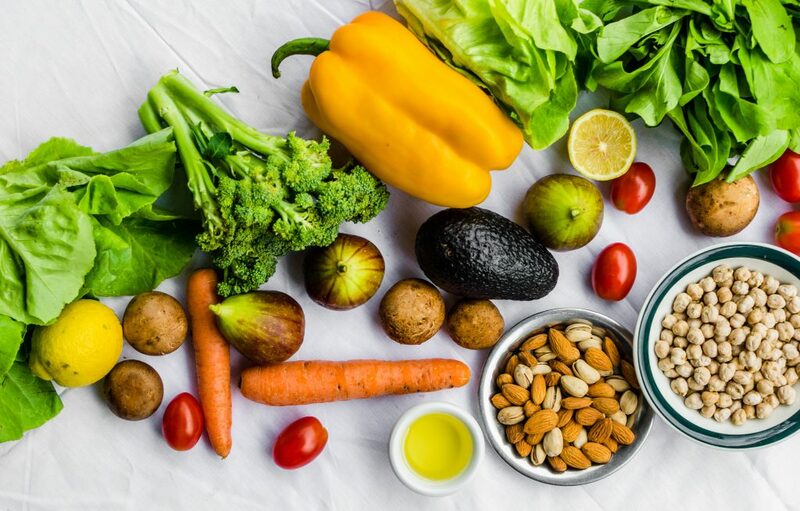 Clean eating has the power to increase energy, curb appetite, improve satiety, promote weight loss, and actually keep the weight off once it’s lost! There’s no secret to weight loss, but there is a strategy. Weight loss isn’t just about dieting, it’s about enjoying our food and feeling energized and nourished by it. 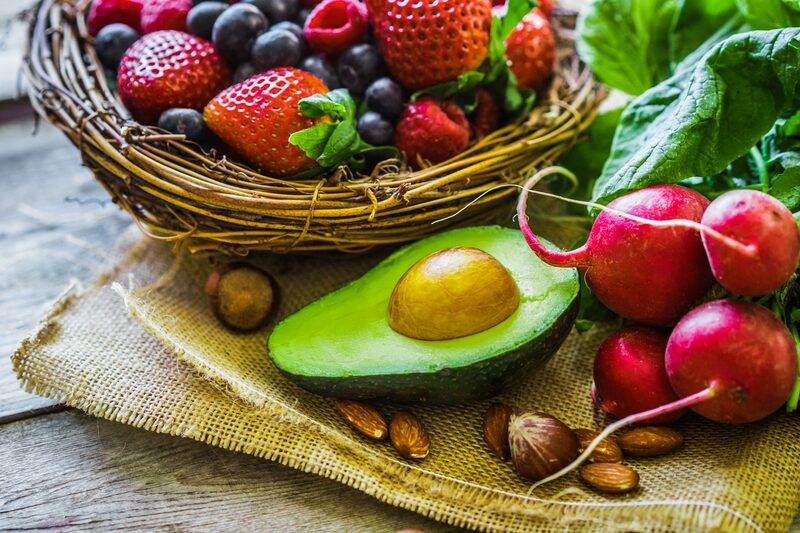 Loading up on real whole foods is the best way to ensure sustainable weight loss. Here are 5 clean eating weight loss tips that actually work! High protein diets boast tons of health benefits, from improved satiety, to increased pleasure from eating, to weight loss and weight management. One of the hardest parts about sticking with a diet is feeling hungry. High protein diets, compared to low protein diets, keep us full for longer, eliminate snacking and binging and lead to overall better compliance rates and weight loss outcomes. The quality of protein we eat matters as well! Grass-fed meat, compared to conventional grain, corn, or soy-fed meat is much less inflammatory, and contains higher amounts of omega-3s, vitamins and minerals. Organic plant protein like tempeh, or seafood options like wild salmon are also great protein alternatives to conventional meat. Build your plates around protein and you’ll be satisfied while you slim down. 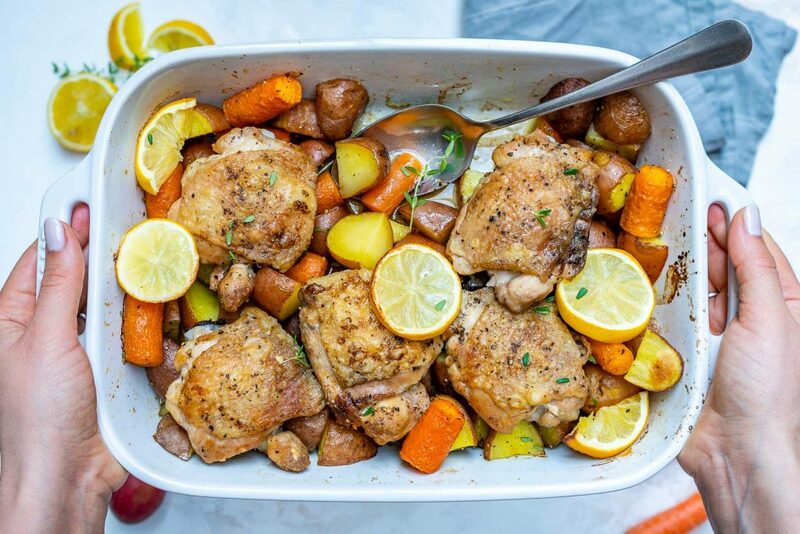 Try this baked lemon chicken and veggies recipe for a quick, clean eating meal! I know eating fat to lose weight, sounds crazy, but it’s true! There is a caveat though, you must choose the right fats. Fat is a great fuel source, it helps us stay full, it balances blood glucose, it burns excess fat stores, it promotes cognitive functioning, it helps us absorb certain vitamins, and it heals our guts and internal organs. However, with all these positives, fat still gets a bad rap. Fat is not our enemy in the war on obesity, it is our secret weapon! Choose natural fats like grass-fed butter, coconut oil, olive oil, avocados, and nuts and seeds. There’s even a special type of fatty acid chain, medium chain triglycerides (MCT), that increases energy, supports digestion, improves gut functioning, and allows for prolonged satiety! MCTs can be found in coconut oil and grass-fed butter. Cook with saturated fats or fats with a high smoke point. Saturated fats are much more heat stable, and safer for us to ingest after being heated. Try coconut oil, butter, and avocado oil as your cooking fats. Use olive oil or unsaturated fats raw, like in salad dressings or finishing oils. Buy unsaturated fats in small, dark glass containers, and store in dark, cool places. They go rancid quickly! Buy foods rich in polyunsaturated fats, like ground flax seeds or fish oils, in small amounts. They also go rancid quickly, so get them as fresh as possible, and store in the fridge. Fats that have gone off, are no friend to our bodies. Steer clear of hydrogenated fats and transfats! The body does not recognize or use these fats, and they cause internal damage that leads to inflammation and perpetuates heart disease. Here’s 22 more ways to incorporate coconut oil in your diet! Water is the unsung hero of the nutrition world. We need it for every single bodily process, from brain function, to energy maintenance, to digestion and bowel movements, to feeling full and satisfied. Sometimes we’re not hungry, we’re just thirsty! Start with getting a minimum of two litres of water a day, and work your way up to three to five litres. Set timers on your phone to remind you to drink water, invest in a good water bottle, and get a friend on board to help you stay committed to your hydration mission. 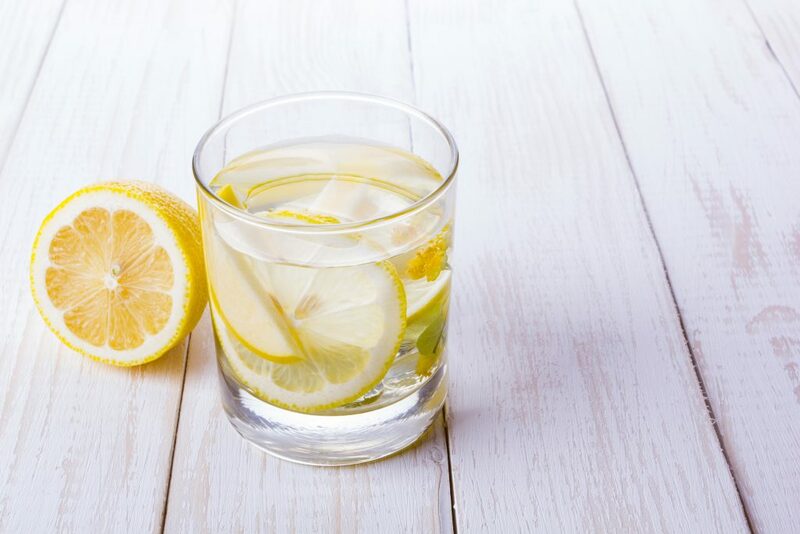 Don’t discredit the healing powers of water for weight loss. It’s inexpensive, easy, and improves every part of our body. If plain water doesn’t cut it for you try naturally flavoured waters with fruit and herbs! It’s the oldest line in the book – “eat your vegetables”, but it turns out your mother knew what she was talking about. Veggies are weight loss powerhouses. They contain all the vitamins, minerals and fibre we need to promote digestion, regulate our bowel movements, keep us full and keep the weight off. Veggies are a great replacement for grains and other starchy carbohydrates. Load up on veggies first, and you may find yourself not missing the bread! Satiety trick; lightly cook your veggies in grass-fed butter, they’ll be delicious, help you stay full, and help keep the pounds off. 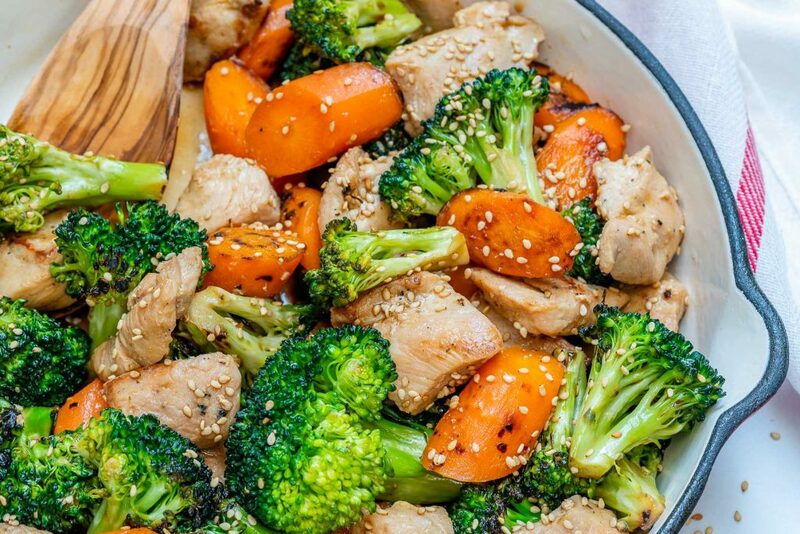 Try this teriyaki chicken veggie skillet for your next meal. One major drawback to dieting is feeling unsatisfied with food. Not feeling full, or pleasure from eating is the main reason for breaking a diet, but there’s no need for meals to be bland! Use herbs and spices to promote flavour, and promote weight loss! Certain spices, like cinnamon and cayenne stimulate the digestive system and help get things moving. Other herbs like garlic, ginger or turmeric support the immune system and lower inflammation which further promotes weight loss. And most importantly, herbs and spices make food delicious, and what more could we ask for than healthy food that tastes amazing and helps us lose weight! 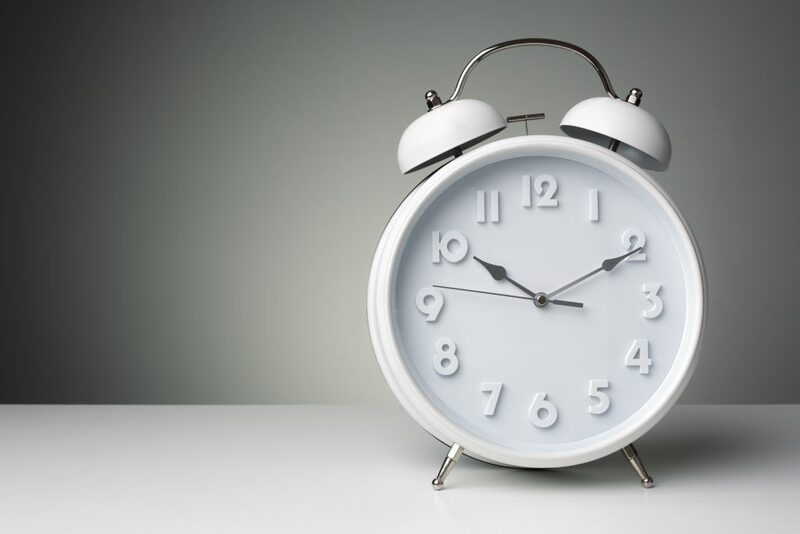 Intermittent fasting is a technique where you eat all your food for the day in an 8-12 hour window, which allows for the digestive system to rest and better assimilate nutrients. This usually looks like not eating anything for a few hours before bed, and sleeping on an empty tummy. Not only has fasting proven to help with weight loss, and body composition, but fasting also releasing growth hormone which helps our body recover and repair, it regulates blood sugar, promotes satiety, increases energy, decreases blood pressure, regulates insulin, and allows for the weight that’s been lost, to stay lost. Intermittent fasting is about creating windows where you eat, not restricting foods, or skipping meals! If you are going to try intermittent fasting start with small fasting windows, and check in with how you feel. Not every weight loss technique is right for everyone, rule #1 is always listen to your body!